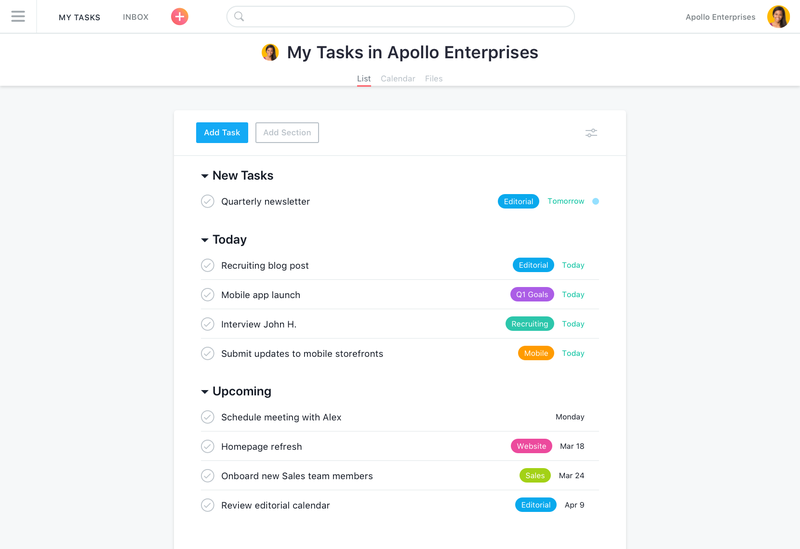 Asana lets you put all your plans and projects in one place so you can work productively without the chaos and confusion. How can an app help your team get and stay organized? Project plans have a knack for getting disorganized as soon as you go to work on them. To-dos become “who&apos;s doing this?”, stakeholders get misaligned, and there are too many things to keep track of in just as many places. Without a single app to organize your team&apos;s work, plans become messy, and teams feel less productive. A tool like Asana can help. 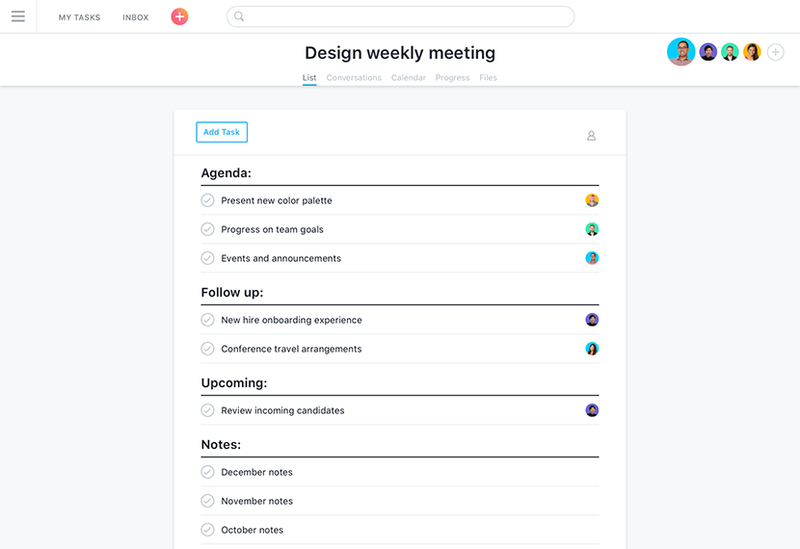 Get your team on the same page with all your to-dos, files, and plans in one tool across projects, tasks, and conversations. 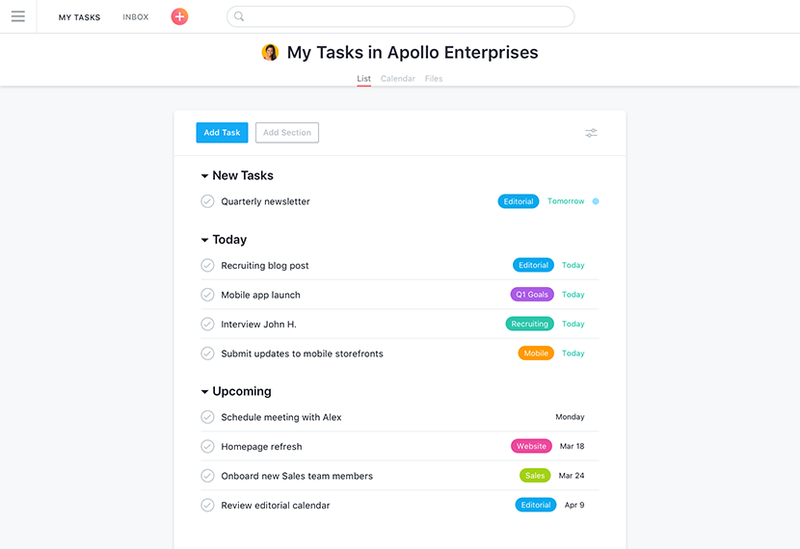 Track all your tasks in one place to get a clear picture of your day, week, and month so you can stay on top of deadlines and work on what matters most. 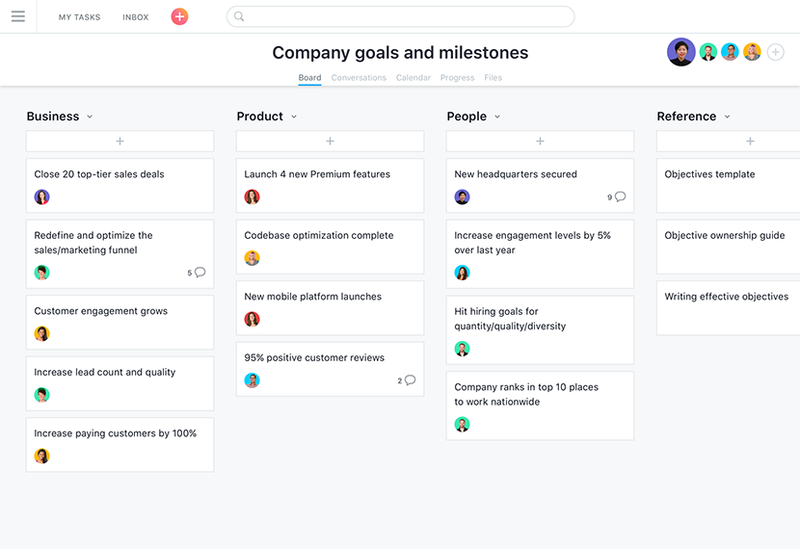 Whether you need to track dozens of details or get a bird&apos;s-eye view of an entire project, see and organize work in a view that makes sense to you. Create custom templates for common workflows and projects to save time on future projects and ensure everyone is following the right processes. See all the work assigned to you in My Tasks so you know what to work on today, tomorrow, and the weeks ahead. 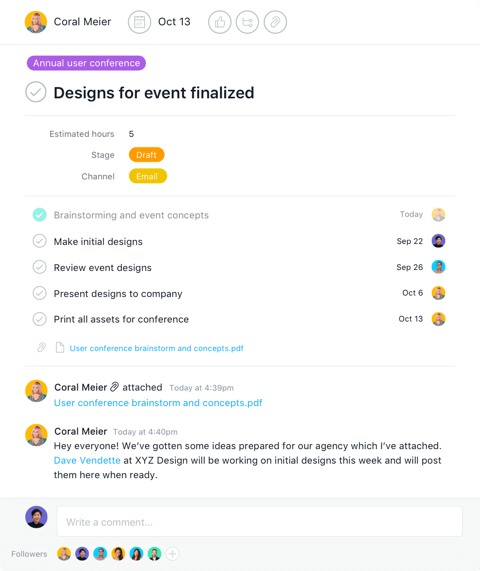 Organize any project like an event, launch, or onboarding to see who&apos;s doing what by when. 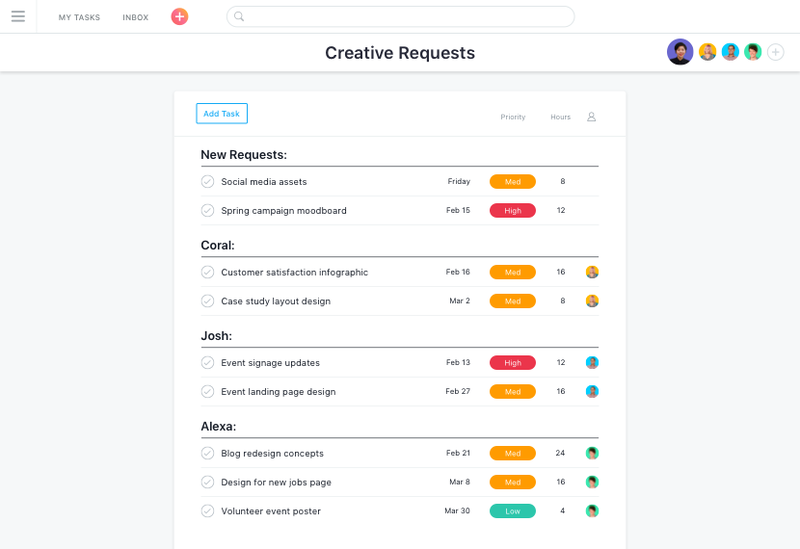 Using email or chat to request work from teammates is hard to keep track of. Assign them a task to better prioritize them. List out your company goals and milestones so they&apos;re always clear and you know you&apos;re working towards them. Good meetings are well planned. Prepare your agenda in Asana so you can stay on track and assign any action items. 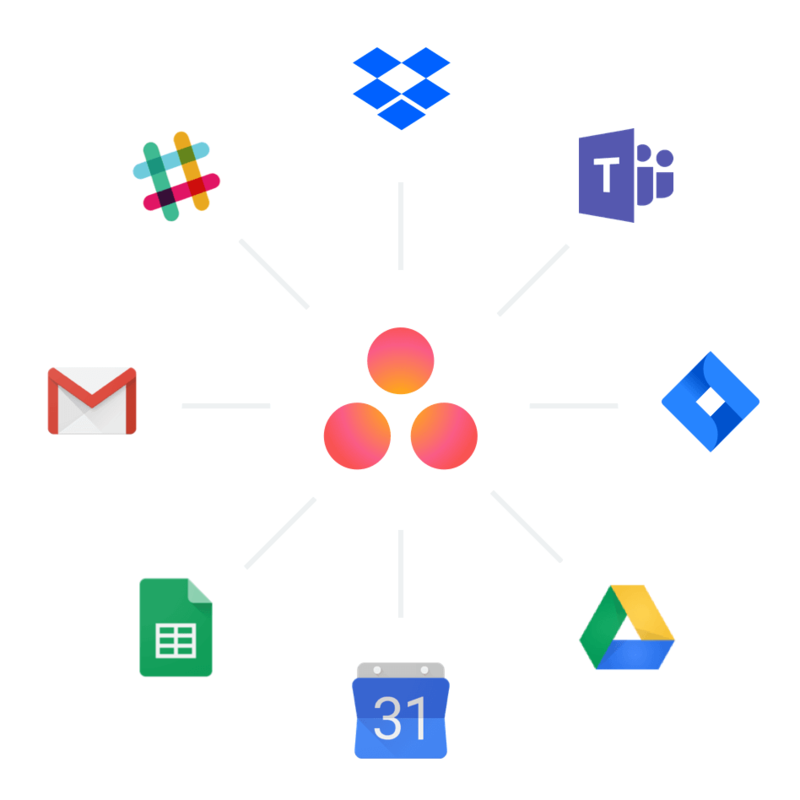 While adding yet another tool to your ecosystem might sound like a headache, Asana&apos;s apps keep everything connected. Integrate with the tools you already use and bring all of your emails, files, messages, updates, and more in one place so you can always find them and stay on the same page.